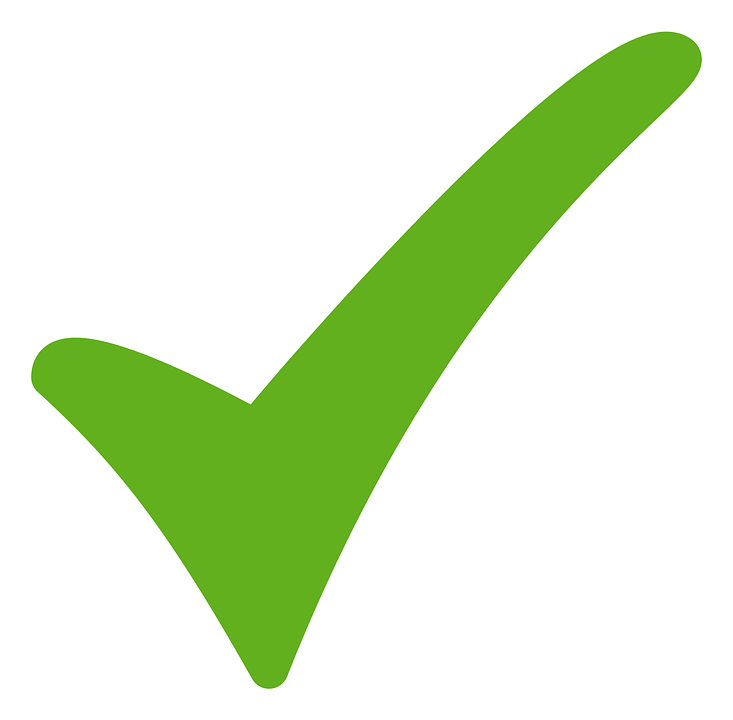 WE STAND BY OUR SERVICE – SEE OUR CUSTOMER REVIEWS! Carpet Cleaning Kings have been a leading carpet cleaning firm in and around Brisbane for many years. 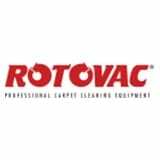 We have invested heavily in our company to give our customers the best possible carpet cleaning service using the best equipment available. 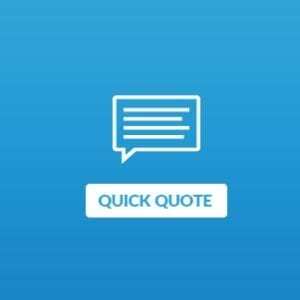 Why not have a look at what our customers have to say about us, and see why we are the best carpet cleaning company in Brisbane. CLEANER – Fall in love with the way your home looks. HEALTHIER – Relax with a peace of mind knowing that your home is a healthy environment for your family to live in. 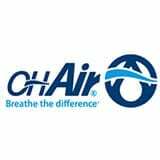 ODOUR FREE – Enjoy a breath of freshness in your home again. Carpet cleaning Kings is a professional, full-service carpet care company serving all over Brisbane. Being an Industry leading firm does not happen overnight. Not only does our advanced equipment bring the best carpet cleaning experience possible; All Carpet Cleaning Kings technicians are trained on a weekly basis in IICRC-approved cleaning methods. 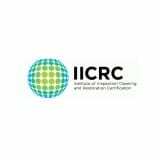 Technicians get trained via the IICRC to stay up to date with the latest and most effective carpet cleaning techniques. Simply put, our technicians are the best of the best when it comes to knowledge, skill level and experience. Your carpets will be left cleaner, drier and softer. 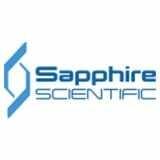 We are a family owned, industry leading firm. We use only HEPA Filtered vacuums. We are flexible in our delivery of service. All staff are trained on a weekly basis and are IICRC certified. Quality equipment = Faster drying times. Daniel did an awesome job cleaning our large house with cream carpet! Stains from the pets are gone. Daniel was extremely informative and efficient. He even moved 3 very heavy beds to clean under them! No other company has ever done that, or even offered. 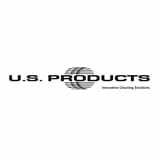 Will definitely be using this company again! Thanks Daniel for cleaning our carpet and rugs. :) They look amazing now! They were badly stained but with your quick and effective cleaning they now look brand new! Highly recommend Carpet Cleaning Kings. Excellant communication. Great price. Very professional. Quick with excellent results. Will use them again for sure! We’ve been using Carpet Cleaning Kings for 3 years now and still impressed. 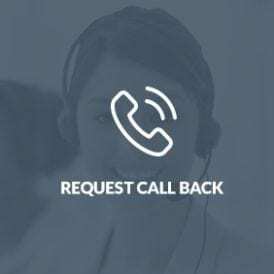 Their booking system and customer service is friendly, convenient and efficient, as is the in-home experience with their technicians. My shag piles (including a white one!) come up beautifully every time and they are also very affordable. Thank you very much guys and very happy to recommend you. 100% No-Risk GuaranteE “The Most thOrough Cleaning Ever seen… Or it’s Free! When it comes to your peace of mind, having a risk free guarantee is essential. Every job we do comes with our iron-clad, risk-free guarantee. If you are not happy with our work, we’ll re-clean the area for free. If you are still not pleased, you pay nothing. We feel that nothing is more important than your complete and total satisfaction. Your carpets longevity depends on the care they receive. A carpet that is well-cared for should last more than 10 years. Proper carpet cleaning improves your indoor air quality. Carpet Cleaning Kings have specialised equipment and cleaning products that will get the dirt out of your carpets and can leave your carpets looking brand-new. We use powerful hot-water extraction to remove dirt, debris and allergens in your carpet fibres. Along with our trained and certified technicians, we are able to respond quickly, reliably and readily. Carpet Cleaning Kings qualified and professional carpet cleaning technicians would extend your carpets lifespan and improve you and your family’s health and hygiene. Carpets are like filters; your carpets have all sorts of contaminants like dust and mites, fungus and viruses. Carpet cleaning would remove all of that hidden dirt. Carpet Cleaning Kings technicians are experienced and highly trained in carpet cleaning and stain removal. We only use hot water extraction since it’s the best approach of carpet cleaning. Hot water extraction injects hot water into your carpets, which the machine would then extract. Hot water readily dissolves unseen dirt and debris and leaves the carpet warm so it dries faster. We, at Carpet Cleaning Kings, know that all cleaning jobs must be unique. We have developed a tailored approach to suit your carpet cleaning needs. Call us today for Carpet Cleaning Quotes on your carpet cleaning needs. Invest in your business with a regularly cleaned carpet that will assure your customers that you care about your business. Have your rugs cleaned thoroughly with Carpet Cleaning Kings hot water extraction in the comfort of your own home or in your office. Rest assured, Carpet Cleaning Kings only utilise the best equipment to give your rugs a thorough clean. 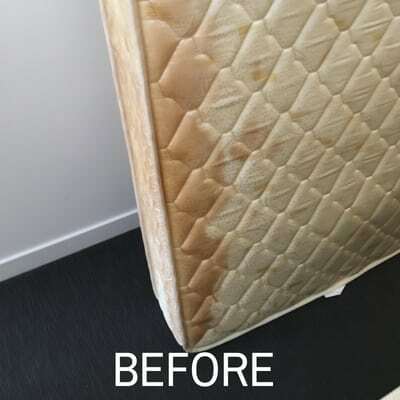 From heavily soiled to light cleaning, our cleaning process is designed to have your furniture looking as close to its original condition as possible. Having a clean and allergy-free mattress to sleep on would ensure that you get your daily dose of beauty sleep. 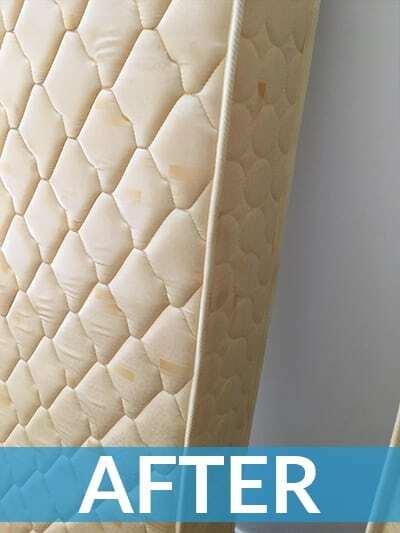 Mattresses should be cleaned at least once every six months by a professional cleaner. 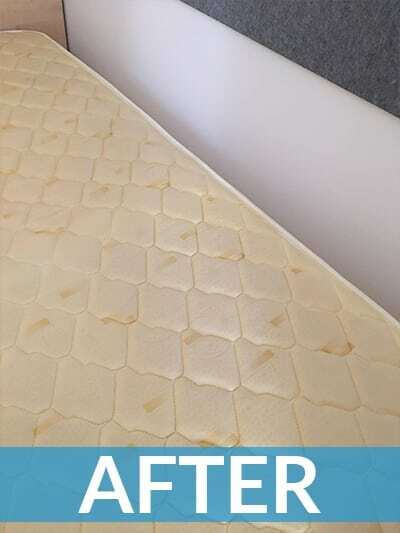 Carpet Cleaning Kings word with fully trained and fully qualified mattress steam cleaners for an allergy free mattress so you can sleep soundly. We often overlook our tiles during regular cleaning; mouldy tiles are breeding grounds for bacteria. Have your tiles looking shiny and new. Pest control should be prioritized other than cleaning chores. Pest control will enable you and your loved ones to breathe and dwell in a healthy environment. Carpet Cleaning Kings use safe, superior quality and fast-acting floor stripping solutions to remove floor polishes and vinyl sealers. Carpet Cleaning Kings specialise in thoroughly cleaning your HVAC systems. Regularly having your HVAC system cleaned would save you money and extend the life of your equipment. Pet urine can cause significant damage to your floors and fabrics. Aside from the horrible smell that it brings, pet urine creates an unhealthy indoor environment. When your property gets flooded, it’s critical to have professional cleaners minimise the long-term damage to your carpet and furniture. Carpets and furniture that are left untreated for a long time can cause permanent water damage which would cause significant health concerns to the inhabitants of your home. Carpet cleaning should be scheduled annually or quarterly. Routine cleaning would prolong your carpet’s life and would be more hygienic for you and your family. Carpet Cleaning Kings improve your home’s hygiene, saves you more energy and create a safer and healthier home with reduced environmental impact. 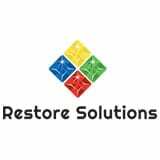 Call today to get reasonable carpet cleaning quotes. Do you need Carpet Cleaning Brisbane, Ipswich or Gold Coast? We have built a powerful reputation in the residential and commercial cleaning industry and strive to deliver quality services that are unrivalled. In fact, Carpet Cleaning Kings is your total carpet cleaning, tile cleaning and upholstery cleaning specialists. Whether you need your carpets cleaned because your moving out, looking for a spring clean, have allergies, have had a spill, stained the carpets or your pets have had an accident our cleaners are ready to help you. 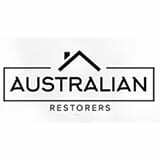 Our service areas include the Brisbane CBD, Brisbane Northside, Brisbane Southside, Western suburbs of Brisbane, Ipswich, Loganholme and the Gold Coast. When choosing to book your carpet cleaning in Brisbane or the Gold Coast with us, let me assure you that you are in excellent hands. The reason we do this is to ensure we have cost-effective solutions for every type of job.We also have many additional services in which we offer such as carpet protection, anti-allergen treatment, dust mite treatment, stain treatment and urine odour removal. Keep checking back on our website as we have many Carpet Cleaning Specials from time to time. 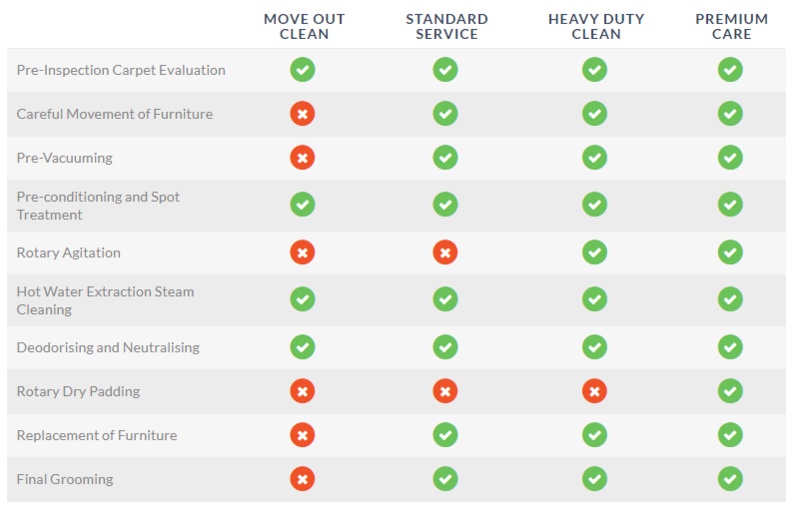 Move Out Carpet Cleaning Service – Cost $27.50 per room (including GST). 1. Carpet steam cleaning machine. As the name suggests this is our carpet cleaning service for carpets with no furnishings. 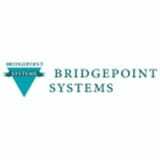 This is our basic service, in this service we complete the minimum number of steps required to ensure a good result. Standard Carpet Cleaning Service – Cost $33.00 per room (including GST). For those who are looking at getting a spring clean in their current home, our standard service would suffice and yes, we do shift furniture! 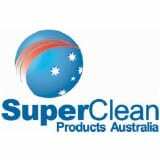 Heavy Duty Carpet Cleaning Service – Cost $44.00 per room (including GST). If your carpets require a thorough clean because they are due for a good scrub our heavy duty clean offers just that. With another machine, we scrub the carpets with an electric scrubber to ensure that all the dirt and debris is loose to give your carpets the best results. You will not find a better carpet cleaning service on offer then our premium service. This service is for those who want the very best that carpet cleaning has to offer. 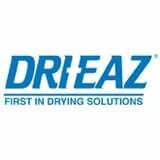 With the added steps of rotary agitation and drying with our dry padding machine. The service will leave your carpets cleaner and drier than every other carpet cleaning service. Firstly, the carpet is inspected to identify carpet type, carpet construction carpet condition and stained and soiled areas along with any areas of your concern. The area is then thoroughly prepared if required assistance will be given to you to help move any furniture and household items. It is now time to vacuum the carpet using a powerful commercial grade vacuum all dry imbed soil, fine dust and other foreign matter is vacuumed away deep within the carpet pile. It’s now time to steam clean the carpets, a powerful carpet cleaning machine with high heat and regulated pressure. Thoroughly steam cleans and rinses your carpet. Carpets will be steam cleaned with the highest quality of machinery available within the industry meaning you get impressive results that dry quickly. During the steam cleaning process, the carpets are Ph Neutraulsed. This ensures a nice soft carpet with no sticky residue. After the steam cleaning process, specialist stain treatments can be conducted on the carpet to remove anything that may not have been removed throughout our process. The carpet if required is groomed to help with the drying time. Finally, all carpets are to be inspected by you to make sure you are happy with the results. What makes Carpet Cleaning Kings so unique is the quality of the whole experience, from the moment we meet until we say, “Goodbye and thank you.” We care just as much about your experience as you do. We want so much more than simply satisfied customers; we want cheerleaders. Experience the quality of Carpet Cleaning Kings services, and you’ll see for yourself why the difference between us and our competitors is obvious. 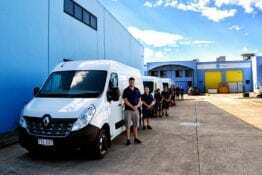 Carpet Cleaning Kings was established in Cannon Hill Brisbane. Keeping your business’ appearance at its best should always be a priority. The condition of your facility affects the way you and your company are viewed by current and potential customers, tenants, or clients. 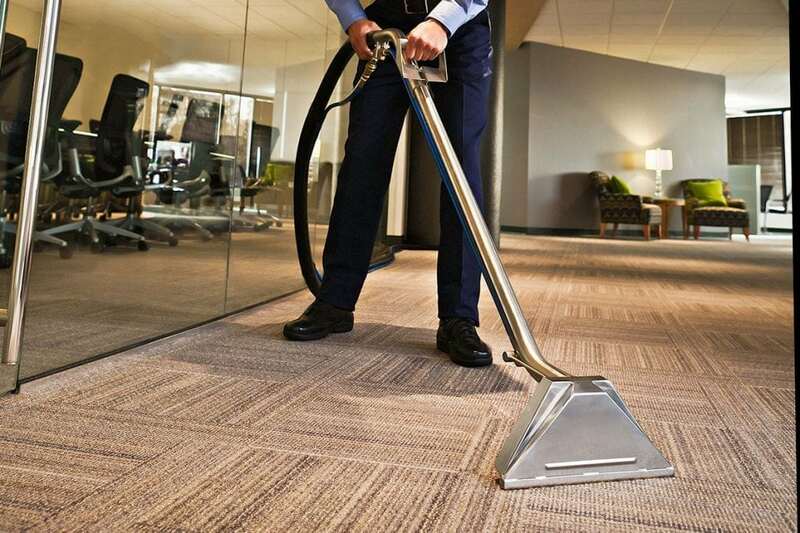 Having your carpet cleaned at least once every 6 to12 months, or more in high traffic areas can help you leave a better impression on your customer base and create a more hospitable environment for them and employees alike. Our services are available after business hours, or whenever your company’s schedule requires, and we can provide regular cleaning based on a set schedule to keep your carpet in excellent condition year after year. At Carpet Cleaning Kings, we are trusted experts in Brisbane to Gold Coast carpet and floor cleaning across all commercial industries, and we will work with your facility’s unique needs to make your carpet look like new. We have the knowledge, experience, and equipment to provide professional cleaning of carpet, upholstery, tiles and more in any type and size facility including high rise apartments, hotels, and offices using our powerful portable systems. Contact us today for more information or to schedule your commercial carpet cleaning service. Once we have your carpets or rugs thoroughly cleaned, then why not discuss a regular carpet cleaning maintenance program tailor-made to your needs and budget. At an agreed and regular date, we can give your carpets a top-up clean so that they always stay in tip-top condition. Not only does it create a better impression for your employees, clients or guests, but regular maintenance is also known to prolong the life of your carpets, saving you money in the long term. At Carpet Cleaning Kings, we understand that time is money. For this reason, our hot water extraction system is a low-moisture process which dries completely within 1-2 hours, allowing minimal disruption. Alternatively, we offer an after-hours carpet cleaning service. A commercial carpet installation is a significant investment for any business both in monetary terms and overall facility image. Quite often carpets are neglected which not only dramatically reduces the life expectancy of the carpet but also the presentation of your business to your customers. A consistent and effective carpet cleaning maintenance program can maintain your facility image and extend the life of your carpet. CARPET CLEANING KINGS offer the best professional rug cleaning service that will restore your rugs to their original lively colours. Our rug cleaning technicians are trained specially for rugs to guarantee the proper handling and cleaning of your most beloved rugs. Rugs are always prone to dirt because they are often used in areas like the living room or the kitchen where there is frequent foot traffic. Rugs in these areas trap dirt, odours, and other particles from food items and other stuff. These substances can be embedded deep in your rug and they can be very difficult to remove. This is the main reason why professional rug cleaners are needed in these types of situations. CARPET CLEANING KINGS are expert rug cleaners. Carpet Cleaning Kings’ team are certified by the top industry cleaning organizations including the IICRC or the Institute of Inspection, Cleaning and Restoration Certification. We make sure that your rugs will be cleaned through the right process in the most effective and safe way possible. We thoroughly inspect rugs and identify the proper procedures needed for us to achieve 100% clean. We have ample experience in the field and we’ve done a lot of rug and carpet cleaning in the whole Gold Coast. We are the best at what we do. We take pride and passion in our work. 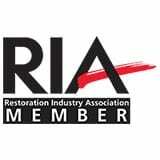 This is why we are here, we will help you restore the clean environment you’ve always loved. Thank you for trusting CARPET CLEANING KINGS For more information you may call 1300 7000 75. 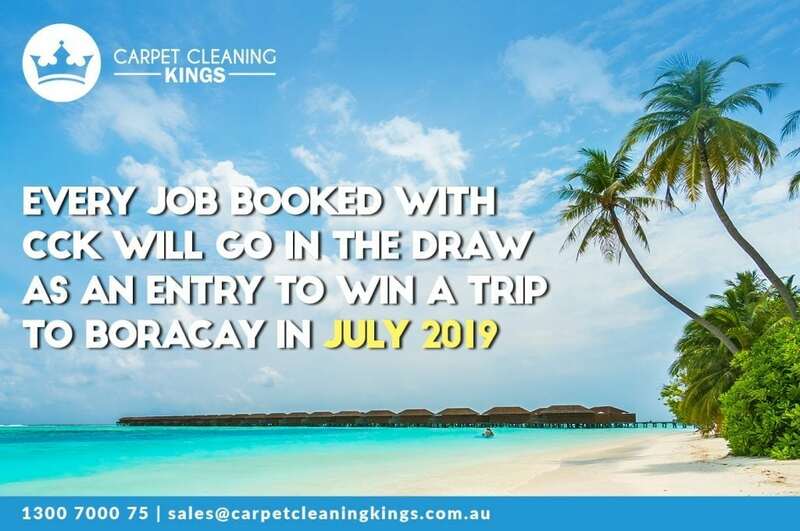 Carpet Cleaning Kings is IICRC certified in upholstery cleaning and is recognised as one of the most knowledgeable and experienced upholstery care companies working in Brisbane, Ipswich, Gold Coast and between. Upon thorough inspection, our certified technicians will determine the proper cleaning procedure for your specific needs. We can also apply Fabric Protector to ensure your beautiful fabrics continue to have lasting beauty between cleanings. Carpet Cleaning Kings offers a complete steam cleaning solution to get tired, dirty and smelly upholstery cleaned and looking how it once did. 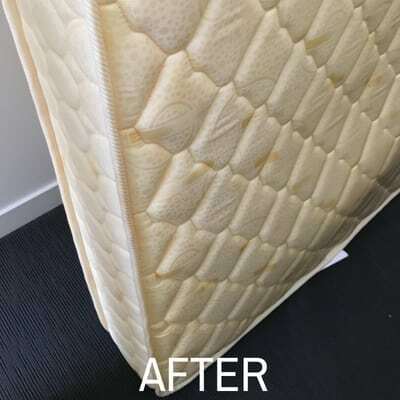 We use specialised hot water extraction equipment to remove bacteria and grime that is trapped inside the fabric. We don’t use any harsh chemicals or products so no sticky residue if left behind. If you are looking to have your lounge chair freshened up before the family comes to visit, or perhaps the kids and pets have heavily soiled and stained your expensive upholstery. Our upholstery cleaning services will have your upholstery cleaner, healthier and odour free! When cleaning upholstery the first step is to inspect the fabric. This helps determines the best cleaning method and any stains or areas of the fabric that requires special attention. Before starting the cleaning process, we will always test a small portion of the fabric to ensure there is no colour run. After inspection the upholstery is dry vacuumed to ensure dry dirt, soil and dust are collected from the upholstery. It’s then the time to prepare the area to ensure we don’t damage any furnishings or floor coverings in the room. Once the area is prepared a pre-treatment is directly applied to the upholstery. 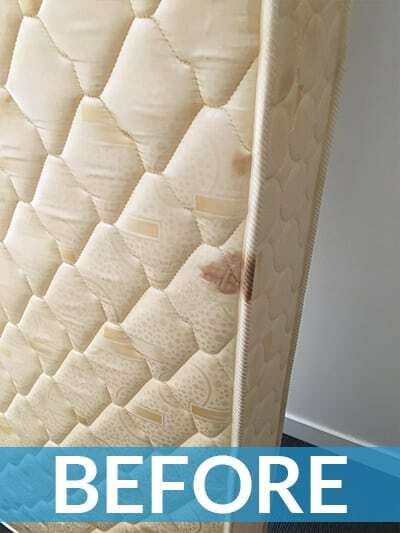 This treatment will immediately start to emulsify soil and stains on the fabric. At this time, we also apply a pre-spotting treatment if required on heavy stained areas to assist in the steam cleaning process. Once we have treated the upholstery we groom the entire fabric using an approved upholstery brush. This step helps to further loosen any stubborn soiling and stain. Once this is completed it’s now time to give it a full steam clean and rinse. All specks of dirt, soil and grime are extracted from the upholstery. The upholstery is fully rinsed clean using a powerful industry leading truck mounted or portable cleaning machine. 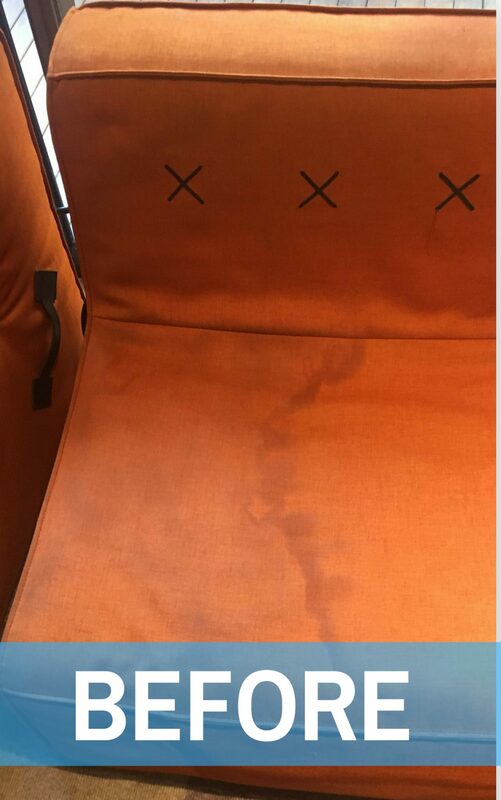 During the steam cleaning process, a rinsing detergent is used to pH stabilise the upholstery leaving it with a soft fresh feel. Once the upholstery has been cleaned a deodoriser is applied to the fabric ensuring a fresh and pleasant smell. The fabric is then gently groomed to aid in the drying process. Finally, the fabric is inspected to ensure you are happy with the results. At this stage, it is a great idea to have your carpets protected with our carpet protection. Protecting your upholstery after each clean will ensure your upholstery stays cleaner for longer and require less cleaning in the future. Call Carpet Cleaning Kings for all your residential upholstery or commercial upholstery cleaning needs. APPEARANCE – You will be amazed how great your chairs and sofas can look after a thorough cleaning. In addition to removing any spots or stains, the brightness and gleam will be returned. When you regularly clean your upholstery, you can keep the original colours looking like new. ODOUR – Fabric is an odour absorber. This means that the people, pets, shoes, and anything else that may have sat on your furniture, most likely have left some odours behind. In addition to cleaning, our professional upholstery cleaners will also deodorise your furniture leaving it smelling fresh. DURABILITY – Do you ever wonder what causes your fabric to look thin or dull? It could be dust. Microscopic dust particles have jagged edges that scratch upholstery fibres. 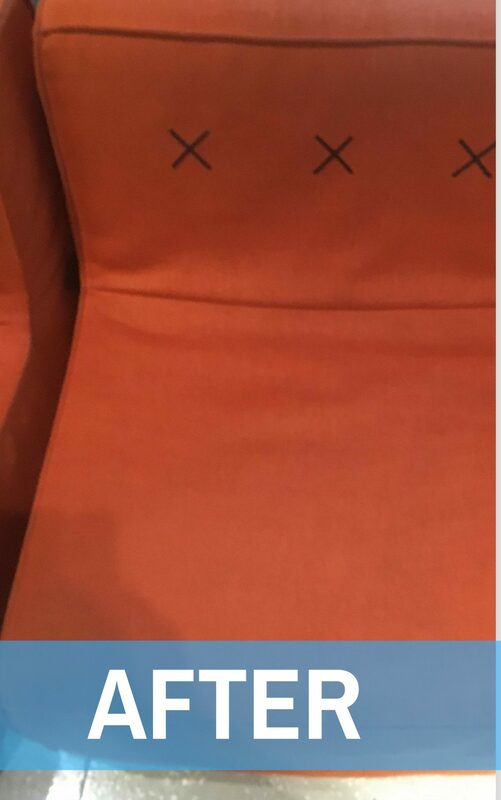 Our careful cleaning technique with HEPA filtered vacuum will remove dust will extend the life of your upholstered fabric. ALLERGEN REMOVAL – Our upholstery cleaning will leave you with a healthier home. Vacuuming and cleaning can remove allergens such as pet dander, soil, and dust that cause allergies and other respiratory problems. Tile and grout cleaning is one of those jobs that most of us clean on a weekly basis. However, over time the lustre and the colour of your tiles and grout will slowly dimish, and you will require a professional tile and grout cleaner to bring your flooring back to A1 Condition. At Carpet Cleaning Kings we specialise in tile and grout cleaning in and around Brisbane, Ipswich and the Gold Coast. 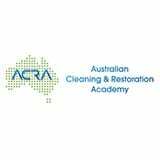 All technicians are industry trained to the highest level by the Australian Cleaning and Restoration Academy. We know and understand tiles and grout, and we confidently understand the chemistry behind the cleaning and sealing agents for those tiles to achieve the best possible cleaning results. Using the latest tile cleaning equipment and the latest cleaning methods and technologies we take the time and the care required to perform exceptional tile cleaning for our valued customers. Our tile and grout cleaning process cleans deep down into the pores of your tiles and grout to remove even the most stubborn stains, leaving your tiles cleaner and brighter. Ceramic tiles are a popular choice for flooring due to their vast array of colours, designs and textures and their reasonably low cost. Ceramic tiles are hard wearing and low in porosity and generally cannot be sealed. We often seal the grout lines after cleaning this will keep the surface cleaner and make future cleaning much more manageable. Slate tiles are a natural stone tile and can vary in colour, texture, density and size. Slate tiles are quite porous and need to be sealed. Old sealer coats often need to be stripped and removed during the cleaning process, then reapplied after cleaning – commonly known as stripping & sealing. 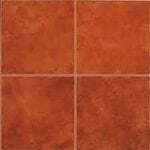 Terracotta tiles are porous and also sensitive to acids so generally sealing is required. 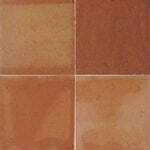 Terracotta tiles can vary in colour from light grey through to a yellowish tint and of into the shades of red. Terracotta tiles are quite soft and should not be cleaned with high water pressure. Terrazzo tiles are made from a composite of materials; usually, a combination of marble, quartz and granite and are available in the large range of shapes sizes and colours. 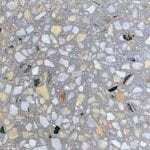 Terrazzo tiles are very porous and can easily be stained and damaged by acids, therefore, require sealing. 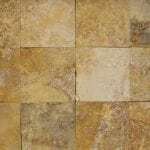 Travertine tiles are a natural stone tile and are best sealed. Travertine tiles come in a range of surface finishes, the colour ranges from white to cream and tan, and are best recognised by the holes in the tile surface that are often filled. 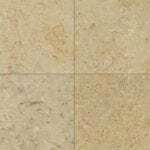 Travertine tiles are quite soft by nature and should not be cleaned with high water pressure. 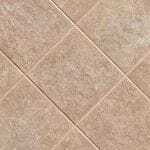 Quarry tiles are known for being hard wearing, durable and reasonably inexpensive while quarry tiles are often red in appearance they can vary from brown, grey, to a tan colour. Quarry tiles commonly used in areas that receive high traffic due to their hard wearing characteristics. Quarry tile is quite vulnerable to staining and requires sealing. 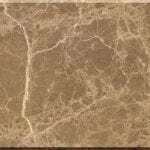 Marble tiles are available in a wide variety of colours and sizes and are identified by the veins running through them. Marble is a natural stone, and it is susceptible to acids and prone to scratching. It is also quite porous and requires sealing. Granite tiles are versatile, robust and very hard wearing and are commonly found in a variety of colours from white to black and many shades in between. 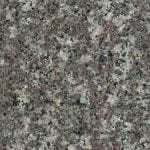 While granite tiles are quite dense, they are also porous, and they do require sealing to protect them and keep them looking their best for an extended period. Limestone tiles are very porous, extremely sensitive to acids and prone to scratching and staining. 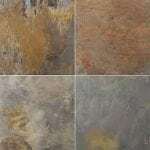 Most commonly very light in colour limestone tiles are used for both floor and wall tiles. Limestone tiles need to be maintained with a high quality penetrating sealer rather than a top coat sealer. Firstly, the type of tiles on the flooring is identified, and necessary steps are taken to test our chemical solution on your flooring to ensure suitability of our tile cleaning solutions. The area is then prepared by moving any furnishings and furniture that are on the tiled floor that is to be cleaned. It’s now time to apply the correct tile cleaning solution. 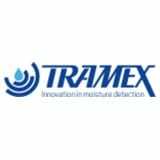 The solution is implemented using a spraying tool or with a mop and bucket. The tile cleaning solution will go to work on the tile and grout emulsifying dirt, soils and grease to begin the restoration cleaning process. If required the grout lines and tile edges and corners are individually scrubbed to loosen any dirt, grease and soils. It’s now time to steam clean the tiles, our tile and grout spinner blast away all the dirt, grease and soils on the tiles and grout whiles at the same time rinsing and extracting all the excess moisture. This process leaves the floor rinsed cleaned and almost dried to touch. 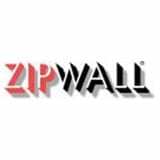 It will not damage any skirting boards, walls or other items located in the cleaning area. Once the tile and grout is cleaned and restored we will walk through the area to ensure all areas have been cleaned to the highest standards leaving you thrilled with the results. Carpet Cleaning Kings use the very latest in tile cleaning technology to perform the tile cleaning job at hand correctly and to achieve the very best tile cleaning results for our customers. The system we use is widely known as “clean and capture” this is where we utilise our powerful truck-mounted (or portable if access denies) machinery to generate high water pressure and high water temperatures to pressure clean the tile surface, and at the same time the vacuum motors of our mechanism recover the dirty water into a holding tank. This system allows us the clean your tiles without any splashing of dirt or water, and your tiles are left virtually dry once we have finished the tile cleaning process. Extend the life of your tiles with tile sealing. For all porous tiles to be maintained, a high-quality sealing agent is necessary, professional sealing of your tiles and grout will help protect the tiled surface from staining, general wear and tear and it will add years of life to your floor. For acid sensitive stone tiles sealing is an absolute must, this will create a protective barrier between the surface and the stone tile giving you time to wipe up any acidic spills such as fruit juice, vinegar, wine, etc. before it damages the tile. 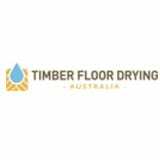 Depending on the type of flooring you have we can apply either a penetrating sealer or a top coat sealer to your tiles, at Carpet Cleaning Kings we can best advise you on the most appropriate sealer for your particular tiles. In some cases certain types of tiles cannot be sealed yet you may still want the benefits of the ease of cleaning that comes with the sealing of tiles, ceramic tiles are an excellent example of this. In such cases we recommend sealing the grout lines with a high quality penetrating sealer, this will keep the grout clean much longer, and it will also make cleaning of the entire tiled flooring much easier. If your tiles have an existing sealer coat on them then generally this will need to be removed during the cleaning process to clean then re-seal your tiles properly, this process is widely known as stripping & sealing. 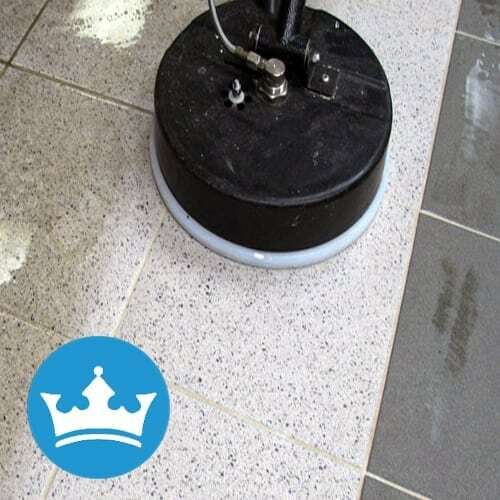 We perform this stripping process using specific stripping solutions in conjunction with rotary machine scrubbing this process breaks down and separates the old sealer from the tiled surface. Once this process is completed, we then steam clean the surface at high water pressure removing the old sealer and any dirt and grime with it. We then neutralise the tiles with our specific solution to remove any chemical residue; the floor is now ready for sealing. A new sealer can be applied, and your tiled flooring will be looking like brand new! Bathroom tile cleaning can present different challenges for the professional tile cleaner these being soap scum on the floor and wall tiles, calcium deposit build-up and water staining on tiles. At Carpet Cleaning Kings we have specialised tooling for the cleaning of wall tiles and tiles in small tight areas. We also use specialised chlorine-based cleaning solution for the cleanup of shower and bathroom wall tiles this not only cuts through soap scum and fatty build-up on wall tiles it also has the added benefit of thoroughly sanitising and disinfecting the tiles. Our bathroom tile cleaning will not only leave your bathroom tiles beautifully clean it will completely sanitise them as well. At Carpet Cleaning Kings we understand that you have a business to run and that performing our tile cleaning service during your business hours can cause disruption for you. This is why we offer an after-hours service at no extra charge to meet your business time constraints. 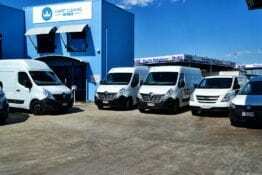 We clean and restore all types of tiles for any size area, large or small and any kind of commercial premises from small offices to industrial warehouses around Brisbane, Ipswich and Gold Coast. We professionally clean all types of tiles outside the house as well as inside; we can also seal outdoor tiles with a premium UV stabilised sealer that will withstand the outdoor conditions. We high pressure clean all outdoors surfaces removing built-up soil, dirt, mould and grime leaving your outdoors looking sparkling clean and new again. FOR EXPERT TILE CLEANING IN BRISBANE TO GOLD COAST. PHONE THE PROFESSIONAL TEAM AT CARPET CLEANING KINGS 1300 7000 75. Having to deal with a wet carpet is such a challenging situation that homeowners face. Anything wet would become the best breeding grounds for mold and mildew. When your carpet gets wet, it is important for you to act immediately and remove the moisture. 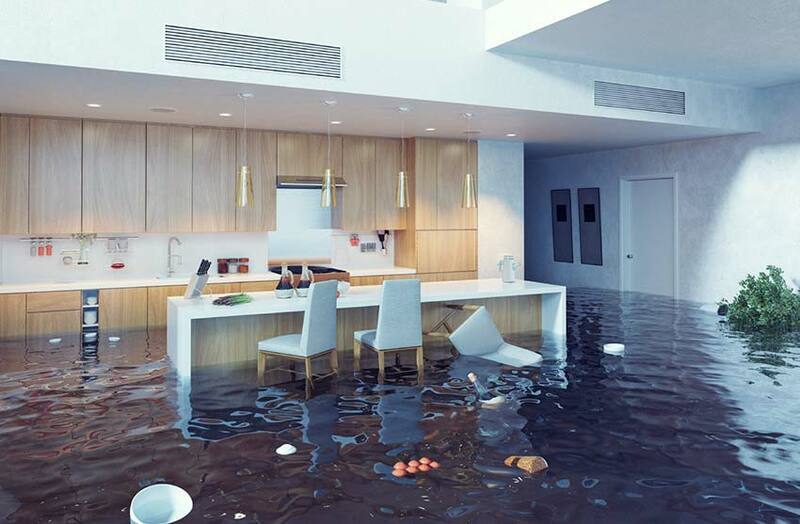 If you’re experiencing some sort of water damage, it could most likely be the result of internal plumbing failures or a result of natural disasters like river flooding, heavy rains or storms. When water damage occurs, it is crucial to call a company that is well-trained and has the proper restoration equipment to completely dry out your home as soon as possible. Water damage is progressive and items should be salvaged within 24 hours of damage. At Carpet Cleaning Kings, we employ well-trained restoration experts to use the highest quality water extraction equipment for our flood water damage jobs. Our trucks and crews are ready within 45 minutes. An overflowing drain and a leaking roof can wreak havoc in your homes. Flood waters would include soil, debris and other substances that could damage your homes. Textiles used for carpeting and upholstery can hold water and would eventually turn into a breeding ground for bacteria and other illnesses. 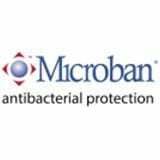 These bacteria could cause significant damage not only to your carpets but to your furniture as well. If you need clean up after a flood, particularly for rugs, upholstery and carpeting, then call us for highly specialized procedures from Carpet Cleaning Kings. Damage is done when water sits around. During this time, it would soak into floors and walls which would weaken everything it touches. Depending on the damage, water damage and flood restoration clean up could be quite a long process although the faster we can remove the water, the faster the drying techniques would be. 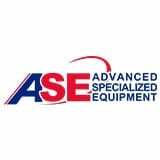 We have advanced equipment to ensure rapid removal of excess water. 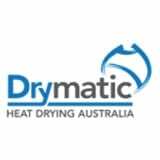 Once the surface water is removed, our professional drying equipment will eliminate the remaining dampness. This is important in mould control. Mould and mildew would grow quickly and is especially dangerous for allergic and asthmatic breathing. Once the area is dry, we will start with a professional carpet cleaning in your residence. Our carpet technicians are highly qualified in treating your carpets. 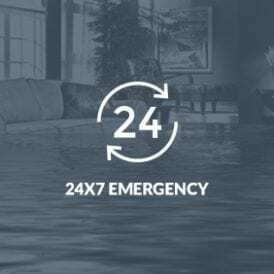 We know that water damage requires an emergency and we will be there at the fastest time, call us immediately on 1300 7000 75. Your expensive floor carpets and upholstered furniture will be inspected when we come there so we can determine the extent of damage that is caused by flood water. This assessment would determine the kind of action that needs to be done as well as the range of solutions that we need to restore. A certified Carpet Cleaning Kings expert will provide you with the best water damage and flood restoration services. Our flood restoration experts will inspect your furniture and walls to determine the extent of damage caused by flood water. The level of moisture in your furniture and walls will be checked for accurate assessment of your water damage. This step would be done to determine whether flood restoration can be done or if the homeowners need to claim it as a loss.